Description: Beretta 1301 Tactical chambered in 12 gauge. 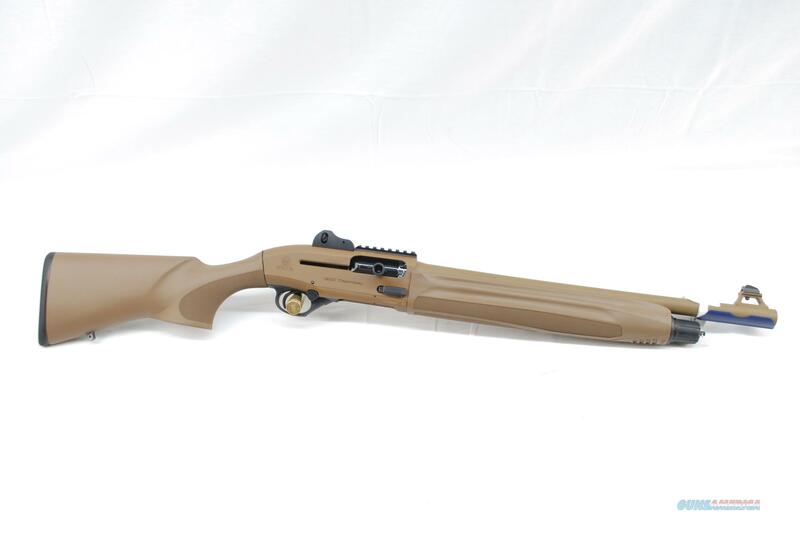 Shotgun has a 18.5" barrel and FDE finish. NIB, layaway is available and check our other listings for more fine firearms. 4% fee if paying by card and a 3 day non firing review on all purchases. From the Beretta website, ?New 1301 Tactical FDE features the addition of several integral improvements in response to feedback from the marketplace. We have redesigned the bolt release lever to allow for a more solid function and eliminating the chance of a double feed. We have also added an aluminum picatinny rail on the receiver in order to support heavier optics. Lastly, we have threaded the barrel for Optima Bore HP Chokes, which will allow for you to use any of our 12ga OBHP chokes to get the most performance out of your 1301 Tactical.